I has been a while since I last rode any significant distance, back in 2016, in fact. Bike has been garaged and looked after at a dealer, so it is in good condition. 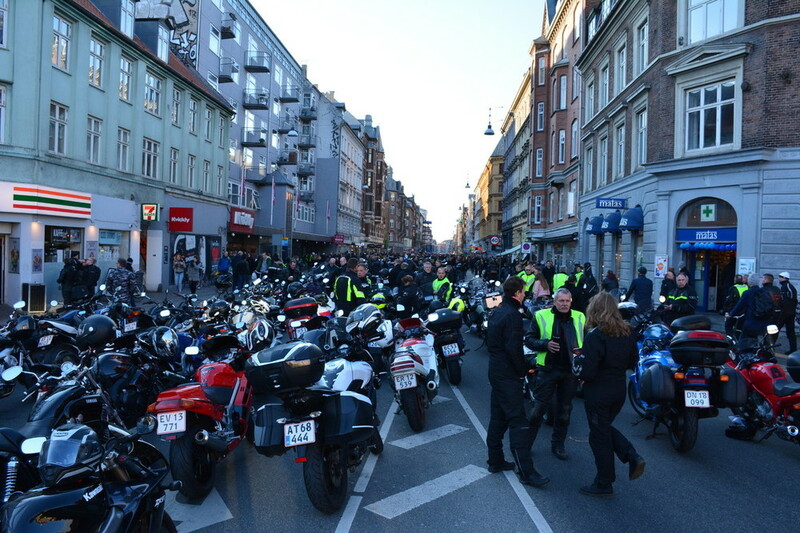 I is a tradition that motorcyclists from all over the country congregate at a train station in Copenhagen and depart at 7 pm. 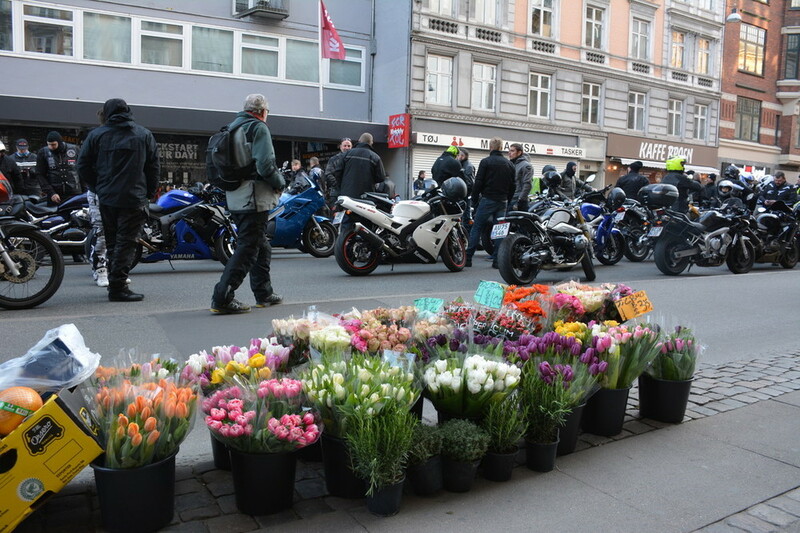 It is not, and has never been, an organised event, it has just grown over the years, and the police know that it will happen, so they show up to regulate traffic as if it was an organised event. 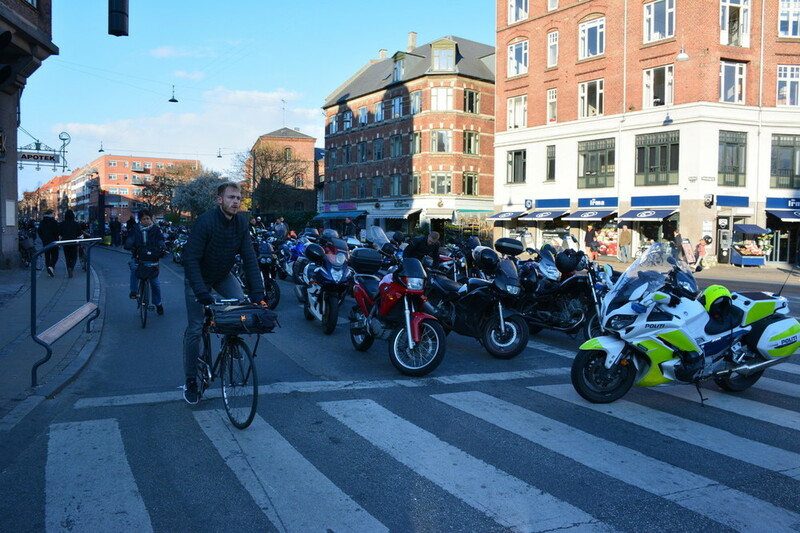 The largest number of bikes I have heard of at these gatherings is 10000, yesterday I heard 6~7000 attended. My ride started from work, where I keep the bike, and shortly after I ran into a shower with big, wet, snowflakes, but it cleared when I had crossed the Great Belt Bridge. 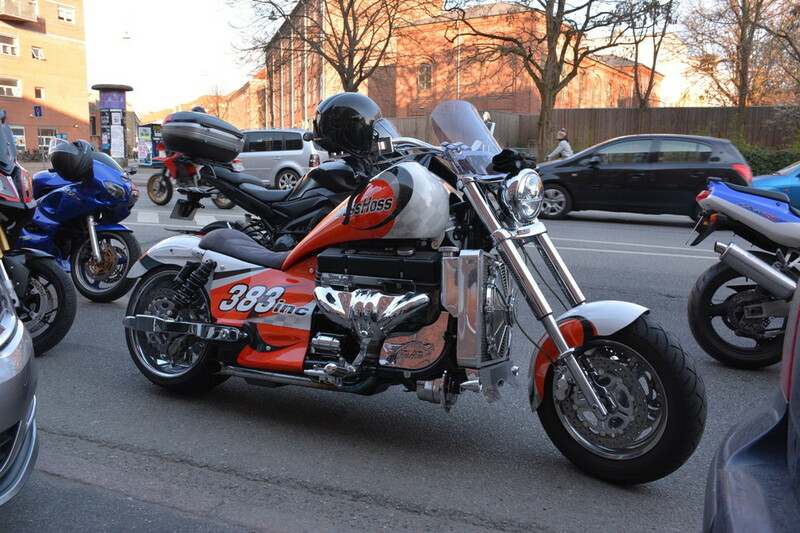 Went by to say a brief hello to my daughter, who had picked her friends over her dad this evening (and as it was very cold, just slightly over freezing, and we had to go get her new riding gear, I understand her, but she did miss out on a fantastic event) and after 180 km I got into Copenhagen. 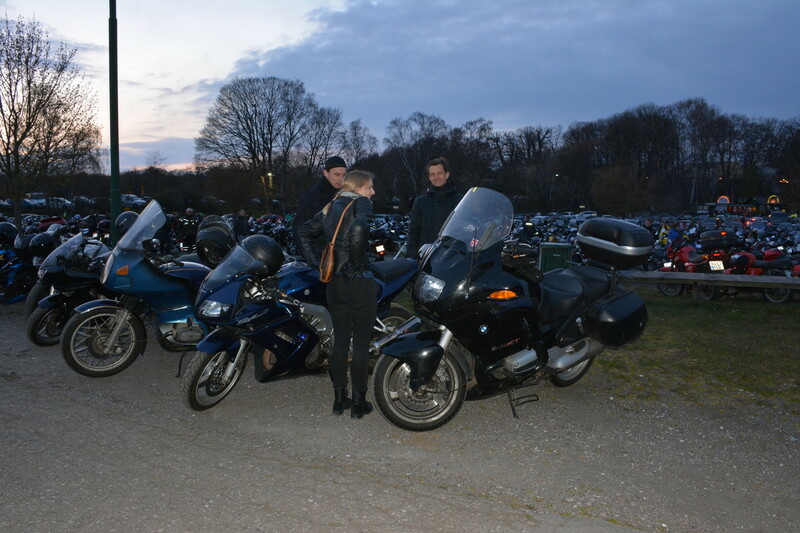 At 7, people start to get anxious to go, the bikes are fired up, even if it will take a good 20 minutes before we start to move at our place in the queue, but what a tremenouds noise! 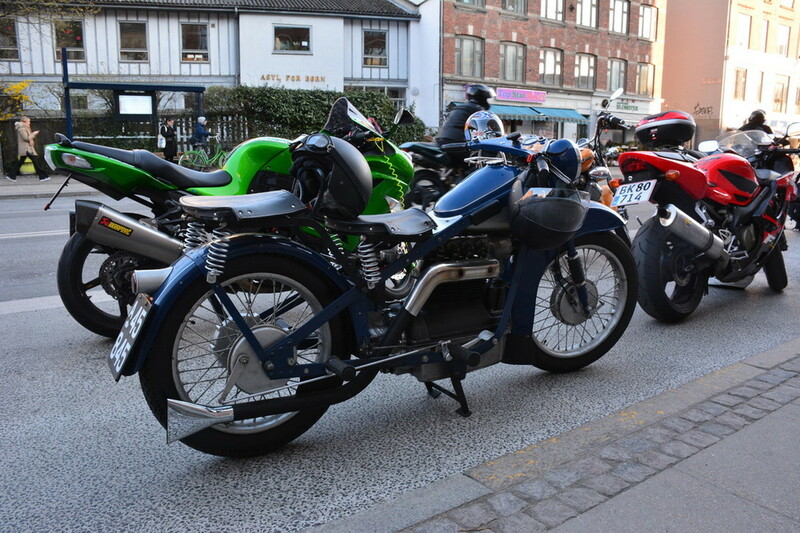 From little itty-bitty 1-cylinder bikes getting drowned out by 8-cylindered Boss Hoss, loud pipes a-plenty. The first couple of kms are quite slow, but then a couple of stretches allow for a bit of speeding up, and all along the 15 km route, police have blocked all intersections, so we get to run all the red lights, strange feeling. Arriving at Bakken the bikes are parked, some people just leave straight away and go home, but most will at least just take a stroll through the amusement park, get a coffee or something to eat, which was what we did. Next year I want to arrive earlier to have more time to look around, we will probably be a group of friends going, and I would like to mount a GoPro-camera, to capture some images from the ride itself. How do you go around corners with that one? After reading your back again post and seeing pictures like this, I hope you hang around a while! Just found a video from the start of the ride, narrated in Danish, but it does give an impression of the number of bikes passing. Thanks, TEWKS, I certainly plan to stick around, and with any luck have a few tales to share during summer, hopefully a longer ride with my daughter. And now the whole video is up, who starts counting? 25 minutes of bikes going by, you will see me at 23:02 - 23:23. There you are! Now if you can't find a style of bike you'd like to ride in that parade.